A science and technology park is an area where innovation is key. The physical environment supports collaborations between institutions such as universities and business/industry and government. The environment itself should be created to support high technology economic development and also to advance knowledge. Since the Department of Science and Technology, the University of the Free State(UFS) and CUT pledged their commitment to collaboration and the development at the launch of the Regional Innovation Forum Free State (RIF), there are already interesting developments to give practical context to this commitment. “Our newly established RIF recently hosted a fruitful workshop on the establishment of a Free State Science Park”, said Prof. Ryk Lues, RIF project leader at CUT and Professor of Environmental Health. A science and technology park was the focus of the workshop, which was seen as an important area that would lead the technological and social innovations in the region and support collaborations between institutions such as universities as well as business/industry and government. Through these collaborations the park will support high technology economic development and also to advance knowledge. 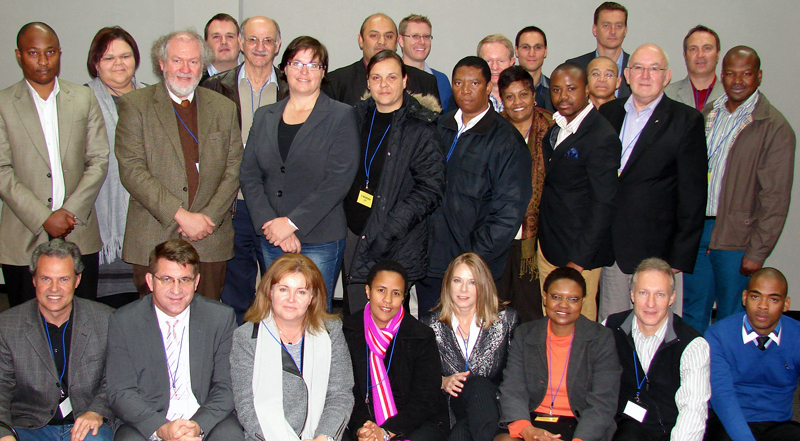 Held at the UFS Business School the meeting was attended by a number of executives and representatives from CUT, UFS, local and national spheres of government and organised business. Mr Gerard Verhoef and Professor Christo Viljoen, advisor at Stellenbosch University, DST and UFS contracted to conduct a viability study led and facilitated the discussions. “The purpose of the occasion was to share information and collate strategies on the status of the regional innovation system and the role and positioning of a possible science park therein” said Prof. Lues.